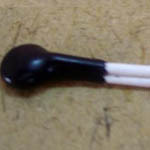 A thermistor is a type of resistor whose resistance varies with temperature. The word is a portmanteau of thermal and resistor. 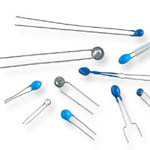 Thermistors are widely used as inrush current limiters, temperature sensors, self-resetting overcurrent protectors, and self-regulating heating elements. Once submitted, we will try and place you in contact with a suitable Thermistors supplier within 48 hours. Standard Disc Style NTC Thermistors from Spectrum Sensors & Controls Inc.
STH151 (Leaded Type) Thermistor from Sowparnika Thermistors and Hybrids Pvt. 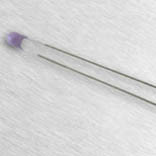 Ltd.
NTC Thermistors from Precon, Inc.
HSTH-44000 Series Hermetically Sealed Thermistor Sensor from OMEGA ENGINEERING, Inc. 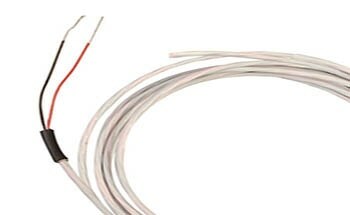 Negative Temperature Coefficent (NTC) Thermistor from Quality Thermistor, Inc.